For many years I only grew herbs and greens in my vegetable garden during winter. Summer veggies seemed more fun and winter became a time of dormancy for me and my garden. That all changed after I planted broccoli for the first time. It quickly grew into a luscious bed of edible heads. But the best surprise was how long they lasted. As long as I kept snipping off the newly developed side shoots before they flowered, we ate nutritious broccoli for months. Since then I have grown many members of the Brassica family and along the way learned a few things about this prolific and interesting family. 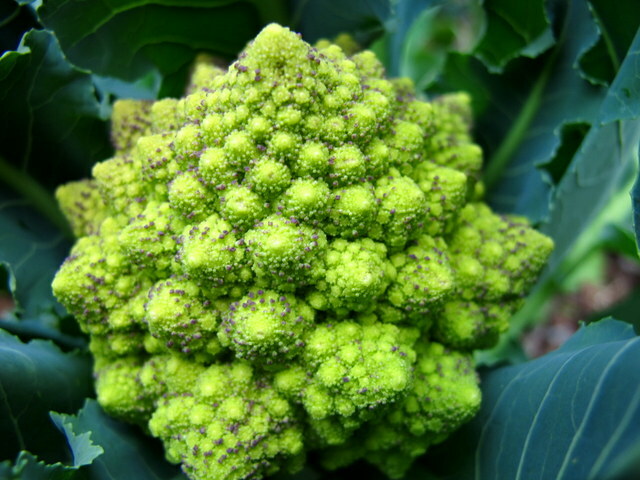 Kale, mustard, broccoli, cauliflower, Brussels sprouts and more are all Brassicas. Probably the only other vegetable family with a wider diversity of shapes and sizes is the Cucurbit or squash family. As Brassicas are heavy feeders, enrich the soil with compost and add a slow release, balanced fertiliser before planting. All Brassicas prefer more alkaline soil and benefit from some lime being added before planting. This also helps prevent club root disease, a fungal disease affecting the Brassica family. 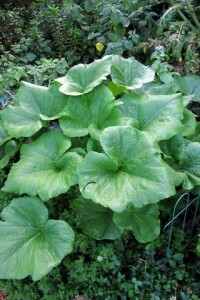 Rhubarb leaves, which are very high in oxalic acid, help to prevent club root. Water the ground with a rhubarb drench (see below) before sowing seeds or transplanting seedlings. Crop rotation also reduces chances of club root developing. Brassicas should not follow one another in the same spot for at least two years. When Brassicas have finished bearing, pull the entire plant out, roots and all, and compost it. Leaving the stumps in the ground encourages club root. Companions: All Brassicas love growing alongside aromatic and flowering plants such as rosemary and sage. Some Brassicas, such as kale and mustard, are leafy greens and can be grown as such. Others – particularly broccoli, cauliflower, Brussels sprouts and cabbage – require a little more care. 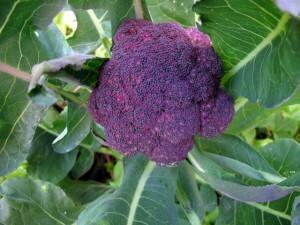 These vegetables all develop buds, either a large single one like cabbage, or a mass of them, like broccoli. These Brassicas have four stages of growth. In the early stages they concentrate on developing their roots and leaves. During the second stage, the outer leaves develop. The third stage is the most important, as this is when the plant builds up nutrients in the outer leaves. The third stage is the time that Brassicas most appreciate being fed some extra food. Once sufficient nutrients are stored, the plant transfers them from the older outer leaves to the internal buds, which develop very quickly during the fourth stage. Feeding Brassicas during the fourth stage won’t make much difference as the growth is too fast for the roots to keep pumping nutrients to the heads. All the growth is drawn from the outer leaves. So we need to feed our Brassicas with a balanced diet before the heads start developing. They require a balanced organic fertiliser, such as Talborne Vita-Fruit Flower (3:1:5), as this will help build large, healthy heads and buds. Cabbage is one of the easiest Brassicas to grow, as it is not too fussy about climate or soil. It comes in a variety of colours and shapes, from compact red ones to large frilly green ones. Although it prefers cooler weather, it can be grown almost throughout the year. 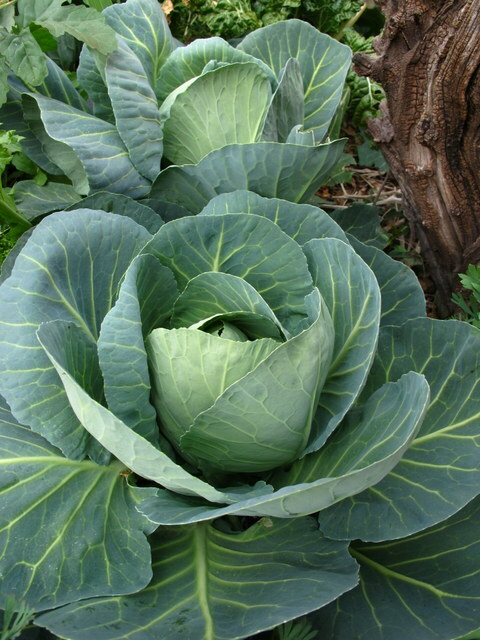 Avoid cabbages maturing in midsummer or sowing seeds in midwinter. Although cabbages consist of a mass of green leaves, don’t make the mistake of thinking they need a nitrogen-rich soil. Too much nitrogen makes the inner leaves grow too quickly and causes the heads to split. Cabbages like full sun and consistent moisture throughout their growing period. A good way to protect cabbages from leaf-eating bugs is to sprinkle of tansy, feverfew, artemisia or pyrethrum in amongst their leaves. More than most vegetables, cabbages benefit from polyculture plantings instead of monoculture. 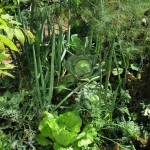 Interplanting with dill, coriander, anise, oregano, borage, nasturtium, sage and thyme will repel leaf-eating insects and camouflage the distinctive shape of the cabbage. 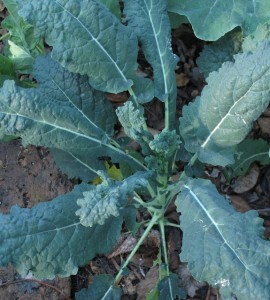 Kale is a quick-growing leafy vegetable. It is very similar to cabbage except it doesn’t form a head in the middle. It is also hardy, easy to grow and is subject to very few pest attacks or diseases. It prefers growing during the cooler months and likes moist conditions. Kale is easily grown from seed and isn’t too fussy about its soil. It prefers full sun, except during the hotter months, when it benefits from some shade. It needs consistent watering and well-mulched soil. Kale grows well with strong-flavoured herbs such as basil, parsley and sage. Kale is not a delicate green, like spinach, which only needs to be cooked for a short time. Kale benefits from being thoroughly cooked, particularly the tougher, curly-leafed varieties. Broccoli is a superhero when it comes to packing a nutritional punch. It contains high levels of vitamins, calcium, beta-carotene, potassium and iron. When buying seedlings, choose compact ones rather than tall leggy ones, as these will transplant more smoothly. If you crowd the plants closer, the heads will be smaller. Keep an eye out for leaf-eating bugs which can damage the central growing point, especially when the seedlings are small. Harvest the central head while compact, even if it’s quite small. If it starts looking loose, cut it immediately otherwise the buds will open and flower. Cut it about 10 cm below the head. As the weather becomes cooler it will continue producing side shoots. Harvest them before they flower, otherwise the plant will stop producing any more shoots. Cauliflower, unlike broccoli which continues to produce side heads after the first harvest, is a once-off deal. Despite this, it is worth planting a few in a small vegetable garden as freshly picked cauliflower has a flavour and crunchiness far surpassing your average supermarket offering. Choose from snowy white, purple, to the spiral Romanesque (pictured). Cauliflower needs constant moisture, rich soil and just the right temperatures to form a good head. Different varieties have differing lengths of maturity, head sizes and resistance to warmer weather. They must be transplanted very gently with as little disturbance to the roots as possible. They produce better heads if grown in a firm soil. When the heads are a good size (6.5–10 cm in diameter) cover them with some bigger outer leaves to keep them white. Either tie the leaves together over the top or break the leaves and fold them over. Check every few days after doing this to see if they are ready. Heads should be cut when they are compact and firm. Don’t let them become loose or develop individual florets. Boil leaves in 1 ℓ of water for 30 minutes. Cool and strain. Can keep in the fridge for up to two weeks. Leaf mould is another way of enriching our soils. Leaf mould is just what it sounds like – fully decomposed leaves. 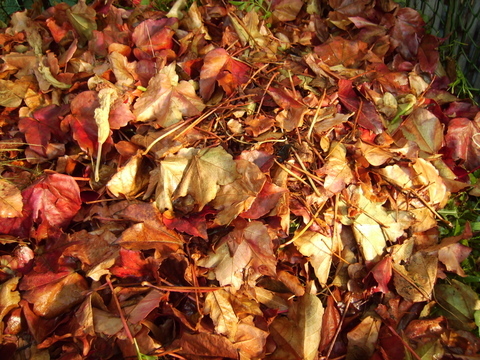 Often we have more leaves than we can use in our compost, particularly in autumn. 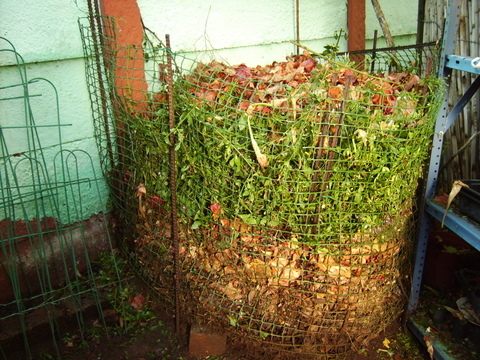 Dry leaves can take a lot longer to decompose than other compost ingredients. It is better to compost them separately, especially when there are deciduous trees in the garden providing us with so many at once. Leaf mould is an excellent mulch, a nutrient-rich soil conditioner and good addition to seedling mixes. Simply pile your leaves in a sheltered, inconspicuous part of the garden and leave them for about two years. Or pack them in black bin bags, make a couple of holes in the sides for aeration and tuck them away until rotted. Or put them into a container where they can be turned every month. Even not fully decomposed, I dip into my leaf mould regularly to mulch a new seedling bed or cover up an area which is looking a little bare. And that brings us to mulching, Adding organic matter to the surface of the beds is known as mulching. It is one of the simplest things to do yet it makes a world of difference to your garden. ·	Improves and adds nutrients to the soil. When you look at this list of benefits – how can you possibly not mulch! 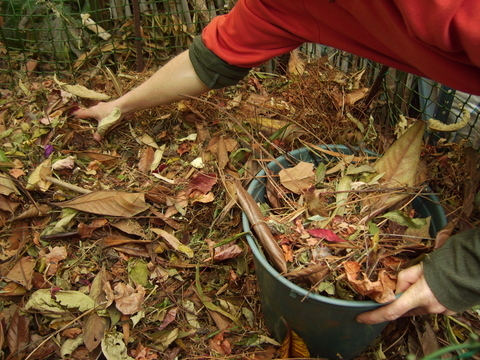 A variety of materials can be used as mulch – some people even use newspaper. 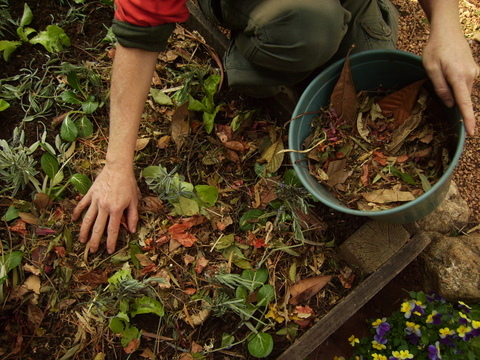 I prefer using organic mulches such as compost, leaf mould, grass clippings, leaves from the autumn creepers and clippings from my shrubs – especially artemisia, sage and lavender, which constantly need trimming. Artemisia has the added benefit of repelling bugs, which hate its smell. Other organic mulches include hay, shredded bark and nutshells. Inorganic mulches such as plastic or gravel can be used; however, the advantage of organic mulches is they improve the soil as they break down. 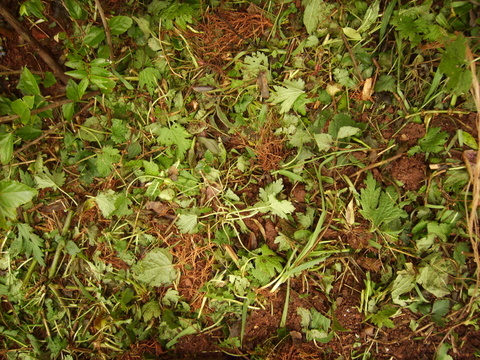 Mulch should be applied when seedlings are about 3–5 cm high. Depending on the material, mulch can be anything from 5 -15 cm thick. Fresh grass clippings should only be about 3–5 cm thick, otherwise they become dense and slimy, preventing water and air from reaching the soil. If you want a thicker layer, mix the clippings with dried leaves first. Mulch piled against stems can cause them to rot, so keep a circle of about 3–5 cm clear around stems. For larger plants with woody stems, leave a mulch-free zone of about 10–15 cm to prevent the bark decaying. Always weed and water the beds well before applying mulch. From next week, I will start talking about sowing seeds and transplanting seedlings into your vegetable garden. You will know you are becoming hooked on gardening when you find compost a fascinating subject! I am a compost addict. I love the smell of compost. I love the feel of compost. 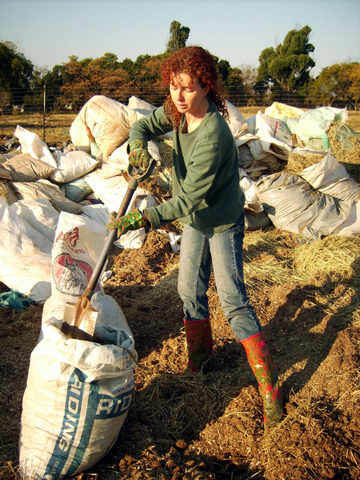 When I dig my hands deep into a crumbly bag of compost, its energy makes my spirit soar. If you are serious about organic gardening, making your own compost is an essential part of the process. So what is compost and why is it so important? Compost is a crumbly mixture consisting mostly of decayed organic matter. It is one of the best ways to fertilise and condition the soil. It provides nutrients for plants, helps the soil to retain moisture, provides food for earthworms and other beneficial insects, reduces erosion and maintains soil temperature. There is something magical about taking a pile of kitchen and garden refuse and turning it into black gold – because this is what composting does: it transforms discarded organic matter into nutrient-rich compost. 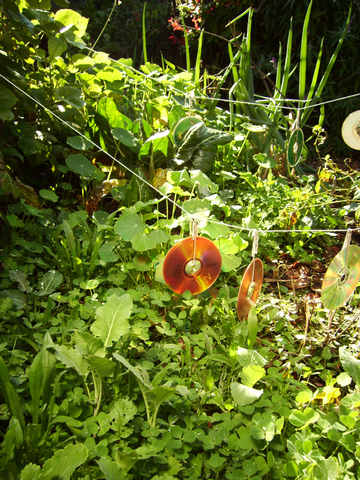 I have found it to be one of the most rewarding cycles in my garden. Taking every scrap and shred of organic waste and recycling it into food for my plants makes me feel like Mother Nature herself! Almost any organic material is suitable for a compost pile, but be aware of the balance required to make it decompose most effectively. Your compost pile requires a proper ratio of carbon-rich material (brown)and nitrogen-rich material (green). Examples of browns are dried leaves, bark, twigs, straw and sawdust. Greens are grass clippings, fresh garden clippings and kitchen scraps. Aim for about two-thirds brown to one-third green mix in your pile. Keep your compost pile moist but not waterlogged – about as wet as a wrung out sponge. Turn it regularly until it is well rotted. It is better not to add cooked food, meat, fish, dairy products, or pet waste to your compost. But everything else goes in: all your organic kitchen waste including coffee grounds, tea bags, egg shells, oyster shells – even used paper towels. Every year I receive a massive birthday bag of manure from a friend of mine who brings it from his sister’s organic farm. I think it is the only birthday present that can be left outside my gate in Johannesburg without being stolen! 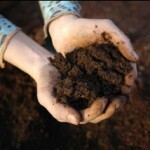 Livestock manure is a nutritious addition to the organic garden. However, be careful how you use it: in its raw state it may carry pathogens and other unwanted elements. If applied to the soil fresh it can create an imbalance. This is especially true with chicken manure, which is high in nitrogen. Raw manure may also contain weed seeds, which you don’t want to add to your soil. So, make sure it is well composted first. Do this by either mixing it into your compost pile or composting it in a separate pile. 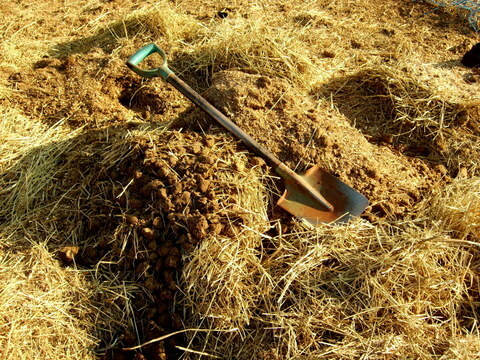 Manure is most often mixed with the animal’s bedding: straw, wood shavings etc. Green manure sounds odd but it is simply a fast-growing crop, which is then chopped down and incorporated into the top layer of soil to add nutrients. Think of a green manure as growing your own fertiliser. Green manure not only retains and adds nutrients and organic matter to the soil; it also protects it from drying out, compacting or washing away. Once the green manure crop has grown to the point when it is lush and leafy, it is pulled out, chopped up and mixed into the top layer of the soil, or just strewn on top of the soil. If the weather is very wet, I prefer to just scatter it on top. But if it is dry, I dig half of it into the top layer of soil and then chop up the rest over the top. A variety of crops are used as green manure – mustard, fenugreek, clover, alfalfa, lupins, soya beans and buckwheat. Don’t let a green manure become too woody before chopping it in. It is also worth cutting up a cover crop quite finely and then letting it wilt for a few days before incorporating it into the soil. Most green manures should be cut before they start flowering, as the nitrogen is lost to the flower and resulting seed head. Next week I will discuss leaf mould and mulch. In a natural environment, a carrot would grow, become fat, then die and rot back into the soil, giving the nutrients it had absorbed back to the soil. As soon as you have added a layer of organic matter, the natural decomposition process begins: earthworms come up at night and pull it down into the soil, rain breaks it down and micro organisms get to work. In no time it will be converted into humus for your plants’ roots. Although most of a plant’s requirements come from oxygen, carbon and hydrogen, up to 60 different elements have been identified in plants. Sixteen of these are essential for plants to grow vigorously and productively. A deficiency of any of these nutrient elements may limit plant growth and productivity and make them vulnerable to disease. For plants to function properly, it is up to us as gardeners to make sure all the raw material is available to them and to keep the soil in the best condition possible. Firstly we need to ensure that our vegetables are planted in nutrient rich soil. Secondly, the soil needs to have just the right balance of air pockets as well as moisture. This is a lot easier than it sounds: As I said earlier all we need do is to continually add compost, manure, green manure, leaf mould and mulch to our gardens. Despite never planning to be a gardener, the green fingers of my mother, and her mother before her, were inevitably passed down to me. I remind myself of my mother so often – especially when I’m gathering slips from someone else’s garden to bring home to mine. When I recognise the name of a plant or instinctively know how to do something, I realise how much I must have absorbed as a child. My mother, now in her eighties, is still actively gardening her large Pietermaritzburg slice of heaven. But you don’t need ancestral green fingers to learn how to grow a delicious garden. The more attuned you become to your environment, the easier it will be. 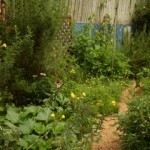 Organic gardening is about creating a biologically balanced ecosystem. My vegetable garden has been in the same place for fifteen years. By continually growing green manures and cover crops, and adding organic matter, I now have soil that is more fertile than when I started. In addition to improved soil, I have fewer pest and disease problems than in the beginning, when I didn’t have as much variety growing in my garden. By eliminating chemicals and poisons, the earth regenerates, natural cycles develop, food chains become established and we can harvest vegetables and herbs that taste the way nature intended. Next week I will talk about compost, manure, green manure, leaf mould and mulch in more detail. Over the years I have developed what I call ‘Jane’s Jungle Style’ of growing vegetables. 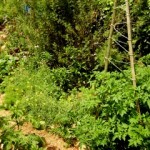 This method of intensive gardening works best in rich, fertile soil. The first step to creating a humus rich, healthy soil is no dig gardening. In many gardens it is an annual tradition to dig up all the beds, add compost or rotted manure and dig it in. This is done to break up and aerate compacted soil. The good news is – you can say goodbye to all that deep digging. In fact, digging up and turning over the earth is more harmful than beneficial to the soil. It causes dormant weed seeds to surface and germinate. Digging upsets the balance in soil life and causes a loss of nutrients by exposing them to air. All those billions of organisms which live in the soil hate being disturbed. Earthworms for example, only breed when undisturbed. If you dig up the soil every year it is as if you have destroyed their house and they have to start all over again. And finally, digging leads to moisture loss. The only time I dig deep into my garden is to remove an unwanted perennial or to harvest roots of a plant or when preparing a new bed. Many of you at this point will be saying; “But I need to dig – if I don’t turn over the soil it will become compacted. That’s why I dig!” The main cause of compacted soil is our own weight pressing down on it. So, the main rule for no dig gardening is to never stand on the soil. To achieve this, make your garden beds just wide enough for you to reach the middle comfortably from the path. If your beds are already bigger than this, place stepping-stones where necessary. Working in small sections, remove the topsoil layer and dig a trench about half a metre deep. Loosen the subsoil layer – don’t turn it over, just loosen it by sticking a fork in and wiggling it back and fore. Add a thick layer of well-rotted manure and compost. Fill in the trench, adding the topsoil last. After adding the topsoil, the surface will be higher than the surrounding path. 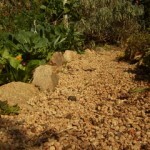 It is a good idea to create pathways between the beds and to edge the beds with stones, logs or some form of edging to keep the enriched soil inside the beds. After you have prepared your beds, you don’t need to dig again. Next time I will talk about how to maintain the soil fertility in your newly created beds. It all starts with the soil . . .
People often ask me what does organic actually mean? Organic gardening is nothing new – in fact it is a very old way of gardening. It is the way all farming and gardening was before the advent of chemical fertilisers and pesticides. You might think that gardening organically just means replacing synthetic pesticides or chemical fertilisers with organic ones. However, there is much more to it than that. 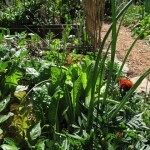 Organic gardening is a natural, holistic and commonsense approach to gardening. It is more of a philosophy of gardening than a style. Organic gardeners see gardens as part of a natural cycle, starting with the soil and including the water supply, people, wildlife and insects. Our aim is to work in harmony with natural systems and to minimise and replenish the resources that our gardens consume. By going the organic route, we are going the route of nature and, if we observe nature, we see that it is not tidy with precise edges and neatly swept surfaces. In a forest when leaves and dead branches fall from trees, they stay there, forming layers of slowly decomposing organic matter. I have hiked in the rain forests of central Africa and there is no solid surface underfoot. As you take a step you sink calf deep into a crunchy, mushy mass. And with each step a cloud of bugs flies up. You can feel the heat and the energy of nature at work. I am not saying we want to create this environment in our home gardens, but we do we want to invite nature to do what she does best. Organic gardening all starts with the soil: healthy, nutrient-rich soil = healthy, strong plants = more resistance to disease and bugs. Just as a healthy body is more resistant to infections, so a healthy soil builds up the plants’ resistance to attacks. Think of your plants as a mirror of the soil in which they’re growing. The first step to controlling diseases and insects is to cultivate healthy soil. 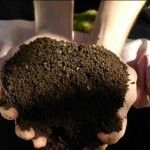 So what is healthy soil and how do we achieve it? ‘Healthy soil’ means a soil full of humus. Humus, which is broken down organic matter, is the ‘life-force’ of the soil. It provides a home for billions of organisms, such as fungi, bacteria, algae, insects and worms. In one teaspoon of healthy soil there are more than six billion microscopic organisms. Without these, plants cannot grow. 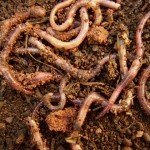 Earthworms for example, leave the earth 8 times richer after being digested through their intestines. ·	Chemically, humus has numerous active surfaces, which bind to ions of nutrients. This makes many more nutrients available to plants. ·	It improves the physical structure of soil making it moist, crumbly and aerated, providing the ideal home for beneficial bacteria and other organisms such as earthworms.